A non-medicated cure for insomnia is rare but extremely effective as a long-term solution. Insomnia has been a rising problem among the adults and the aged ones as of late. Out of the many lifestyle diseases that have crept into our society without us being much aware is insomnia. It is definitely not a new problem that has been added to the medical dictionary as of late. However, it is definitely showing a sharp upward curve over the last few decades. How is it related to lifestyle? In the older days, people used to follow the biological clock of the Sun. They would get up at Sunrise and will go to sleep early on. The good effects of such natural habits can be seen even today if one visits a rural hutment. There, people still follow these rules in the absence of proper lighting facilities. As a result, these people are far healthier, strong and fit than the city dwellers. One can even see people aged above 80 without spectacles in these places, which is a rare case in the cities. With more of electronic gadgets like TV, internet and mobile apps penetrating our society, people now tend to keep awake for the longer time at nights. This is evident with the number of discotheque goers also increasing. An obvious result is that people become late risers. However, that is also not allowed as per the rules of the game. One has to attend the schools, colleges and offices also on time. Thus, the amount of sleep that a person gets becomes lesser. As long as people are young, their bodies can drag on with the difficulties which often goes unnoticed. But as soon as one retires, there is very less work to do with all the day left. Thus, one starts feeling vacant in the mind, which leads to insomnia over a period of time. What is the best cure? Often, insomnia is so painful that individuals start opting for medication. But the drugs used to treat them are so strong that they often leave a deep side effect on the other organs of the body. At such old ages, it is definitely difficult for the individuals to come up with the damages, and often, the heart, kidneys or digestive systems are poorly affected. There can be other great ways to treat insomnia. Non-medicated ways take a lot of time but they also do not leave any poor side effect on the body. In order to know the most effective ways to treat insomnia without medication, one can always take help of ‘Mon Ke Niye’. 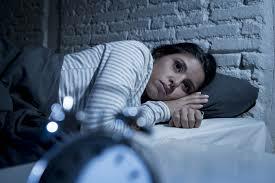 Here, we not only house ways to best treatment of insomnia without medicine in Kolkata, we also make them extremely effective that show results in the least time. Among our innovative ways is to make the patient listen to his or her loved tunes or meditation through yoga. In all the case, the basic aim is to de-stress the body and mind and make them feel light. By practicing these regularly, one can easily win over insomnia over time, but forever, and lead a peaceful and happy life night after night.